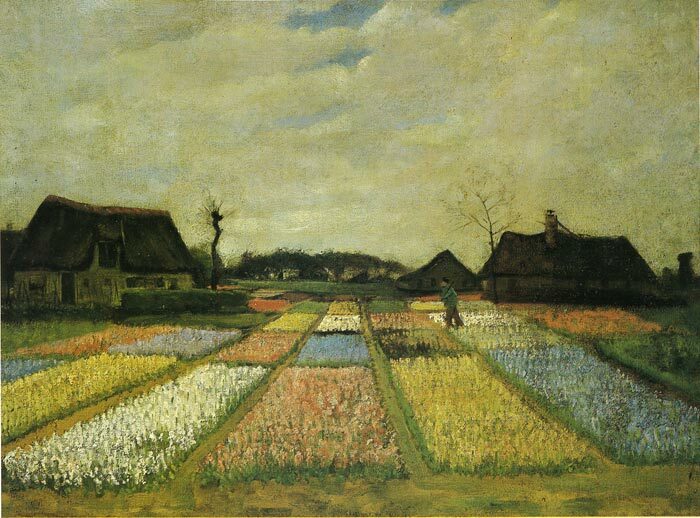 This painting - Field with Flowers is from 1883 .After more than a year together, Vincent van Gogh ends his relationship with Sien and pursues a life devoted exclusively to his work. Van Goghtravels to Drente in northern Holland and paints the bleak landscape as well as the peasant workers. Later in the year, van Gogh moves to Nuenen to stay with his parents. Van Goghsets up a small studio to work and continues to rely on Theo for support. SPECIAL NOTE : The painter will make the reproduction as close to the original oil painting as possible. If you want your painting to alter from this likeness, please email us and " Field with Flowers, 1883 " will be reproduced according to your special requirements.